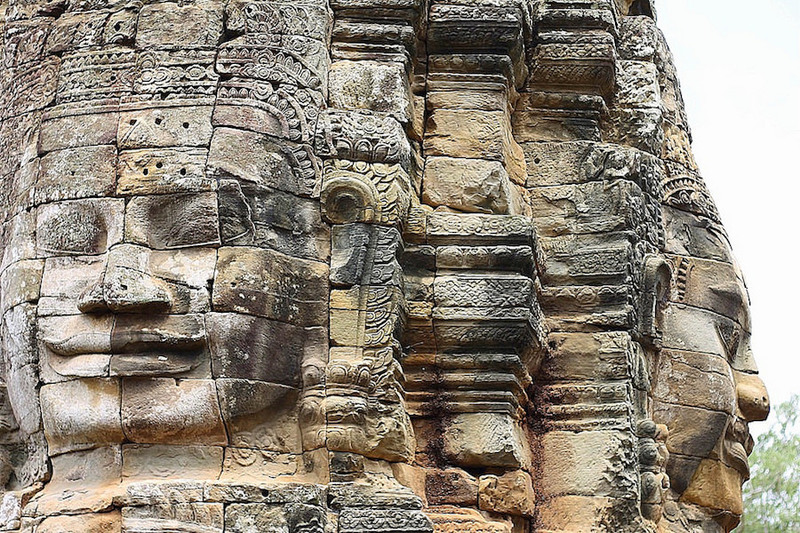 One of the must see sights when visiting Cambodia is Angkor, the ancient former capital of the Khmer Empire. However, some advance budgeting and planning is advisable to enjoy this incredible complex of temples to its fullest. 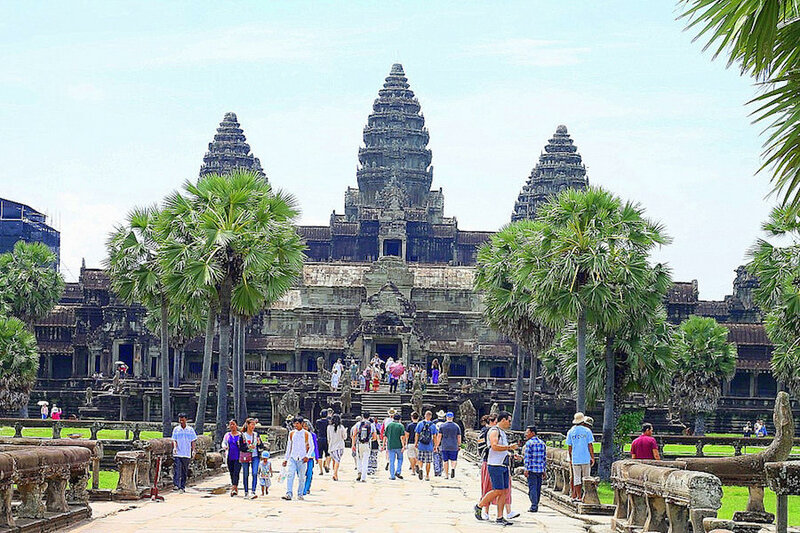 The famous Angkor Wat is just one temple amongst a massive 400 sq km Archaeological Park full of sacred ancient sites. While it’s possible to visit the main temples in one day, we recommend setting 3 days aside for the visit. 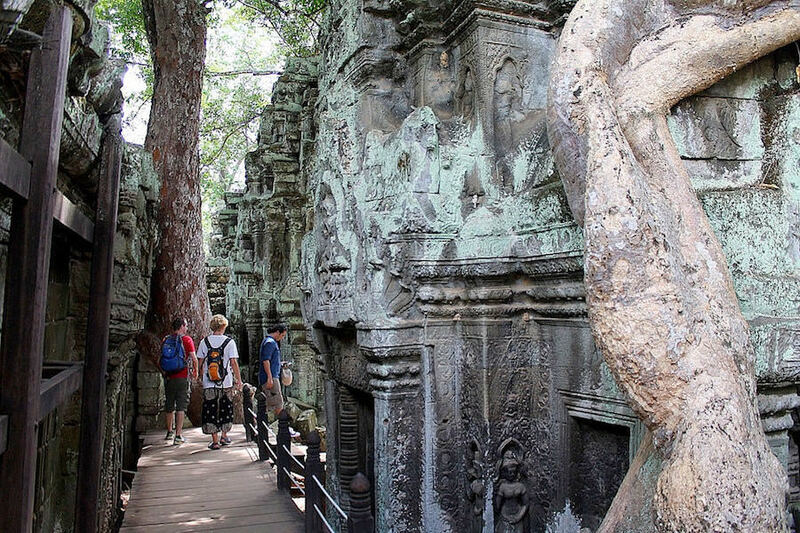 Siem Reap is the closest place from which to explore the ancient city of Angkor. 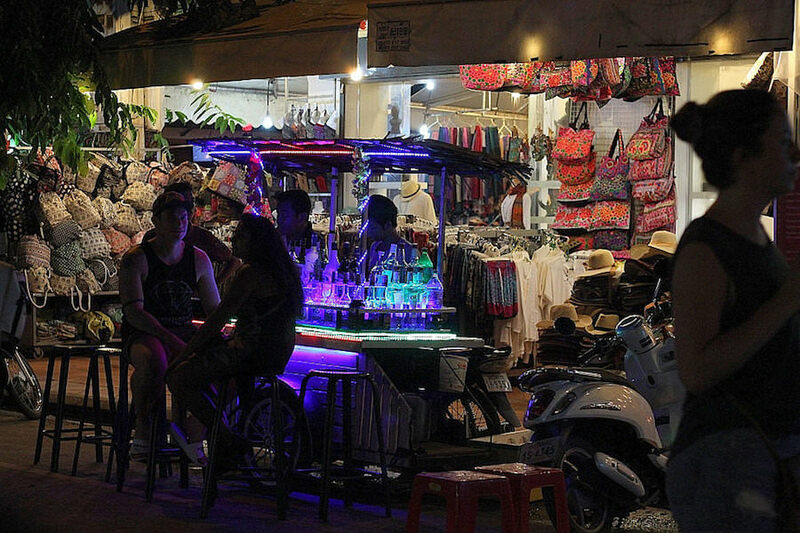 You might think it’s a peaceful neighbourhood since it’s so close to the most significant religious site in Cambodia, but it’s surprisingly vibrant, packed with good restaurants and street bars around ‘Pub Street’. Angkor, being a popular international destination, pushed Siem Reap to excel in Cambodian hospitality. From hostels to luxury hotels, the city is not short of good places to stay. If you are in search of true Cambodian warmth and professional hospitality, book a room at the Angkor Orchid Central Hotel. 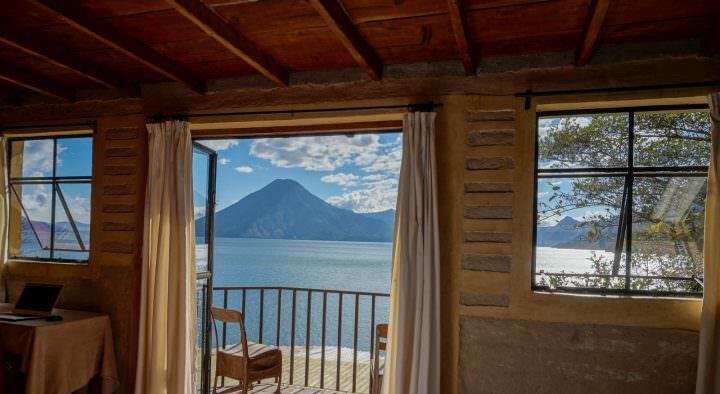 The hotel is centrally located and has spectacular deals during quieter rainy season. You’ll find the hotel just around the corner from the Art Center Night Market, Old Market & the Pub Street. It’s perfectly based for exploring the city, but tucked away enough for a good night sleep. The rooms are simple, comfortable and clean. While breakfast here is a hit and miss, the staff and service is excellent. If you’re after a hostel with more of a party vibe, check out Mad Monkey Hostel, which gives back to the community. You can read more about the hostel and their projects here, or book a room here. For other accommodation options in Siem Reap, click here for hostels and click here for hotels. 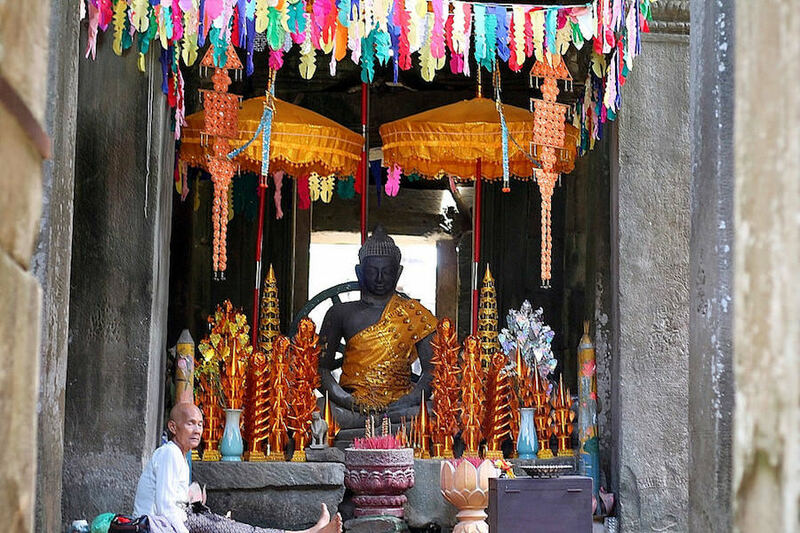 Before visiting the temples, you need to decide how much time you want to spend exploring the ancient complex. There are three types of tickets, a 1 day ($20), 3 day ($40) and 7 day ($60) pass. For those visiting the temples on bikes or motorbikes, the new official Angkor Wat ticket office is located on the Charles De Gaulle road between Angkor and Siem Reap. Whether visiting the temples independently or booking a tour through your hotel, don’t forget your passport. You will need to present your identification document at the ticket window. You will also have a quick photo taken of you at the window which will be printed on your ticket. Should You Purchase a 1, 3 or 7 Day Pass? Unless you are extremely into ancient relics of Angkor, we recommend buying a 3 day pass, if you can. The great thing about the 3 day pass is that you can use it in 3 non consecutive days within one week. 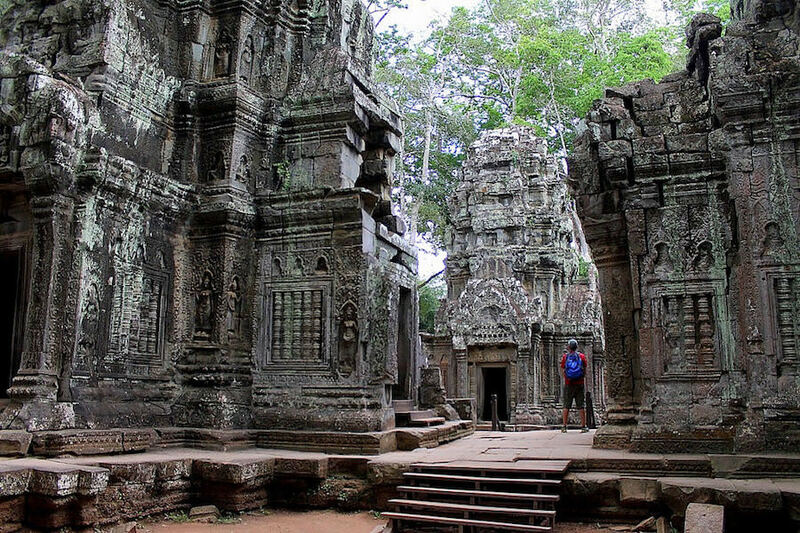 With the 3 day pass you will have the luxury of spending more time at the sights you like and explore beyond the eminent Angkor Wat and Bayon areas. 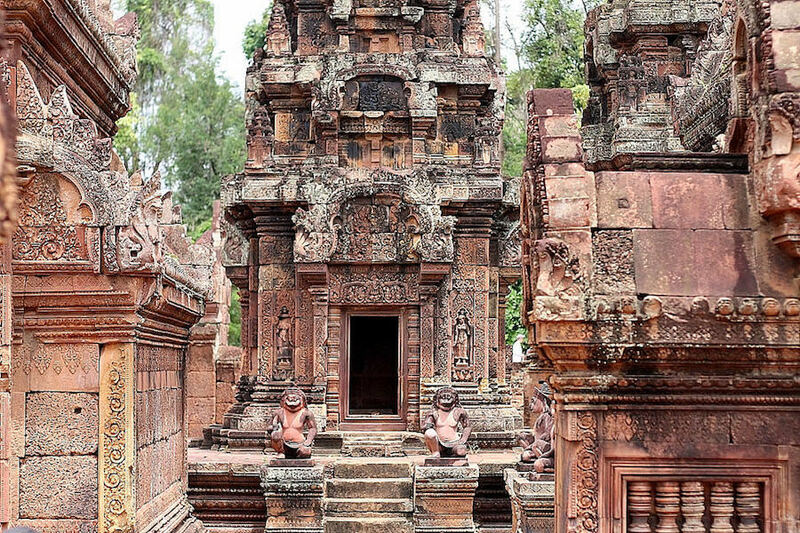 The smaller temples such as Ta Som, Pre Rup or Banteay Srei aren’t any less marvellous and well worth a look. To us, seeing the smaller temples was what made our visit to this sacred site so special. Being able to walk through and see the full size of the stone monuments allowed us to grasp the beauty of these centuries old places of worship. Once you’ve booked your tickets, plan your day carefully. 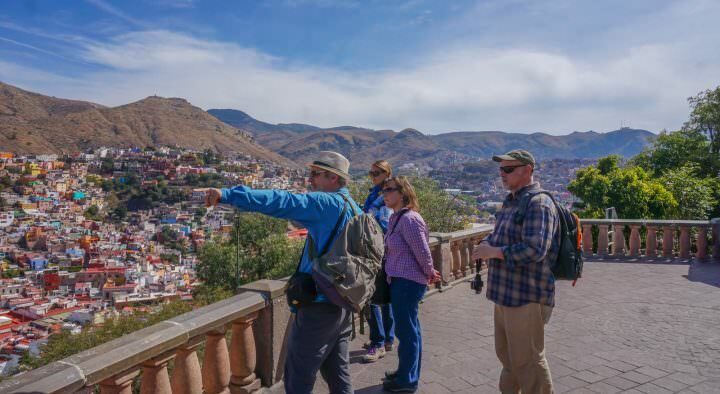 If you choose to book a tour, your hotel will most likely have an itinerary ready. For an extra charge ($2-5), they will also arrange a private local Tuk tuk driver for you. Take everything into consideration, the size of the park, the number of temples, the distances between them and the heat. It is an exciting, but tiring day and having a personal driver will allow you to relax in between the temple visits. Start your day early at around 8 am. It gets very hot and busy during the day. We recommend starting with smaller temples on your first day and building up your excitement for the next 2 days ahead. 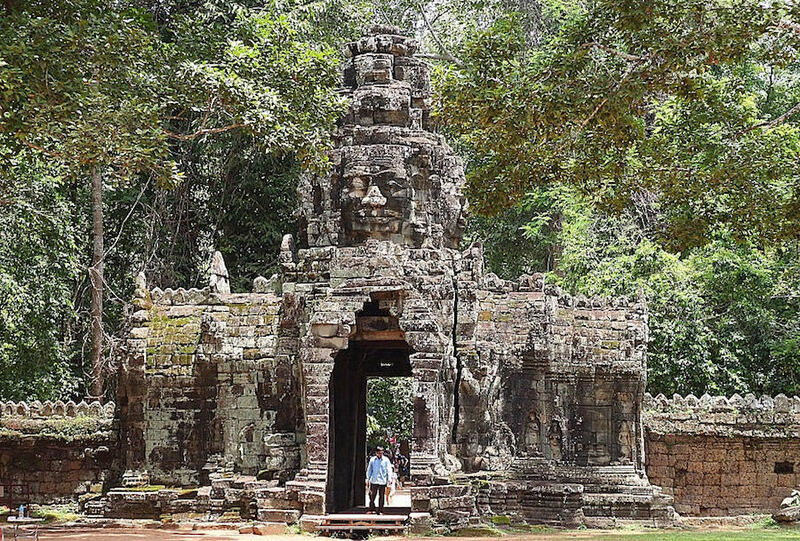 All of the temples in the park are spectacular and worth visiting so leave the legendary Angkor Wat and the smiling, if not sinister faces of Bayon temple for last. Entangled in the tree roots sits the spectacular Ta Prohm temple, don’t miss it. Here you will also be invited to stroll through the enchanting setting of the Tomb Raider film based on the computer game, starring Angelina Jolie as Lara Croft. One of our favourite temples was the beautiful Banteay Srey. The difference between the elegant red brick temple and the other monuments in the park is striking. 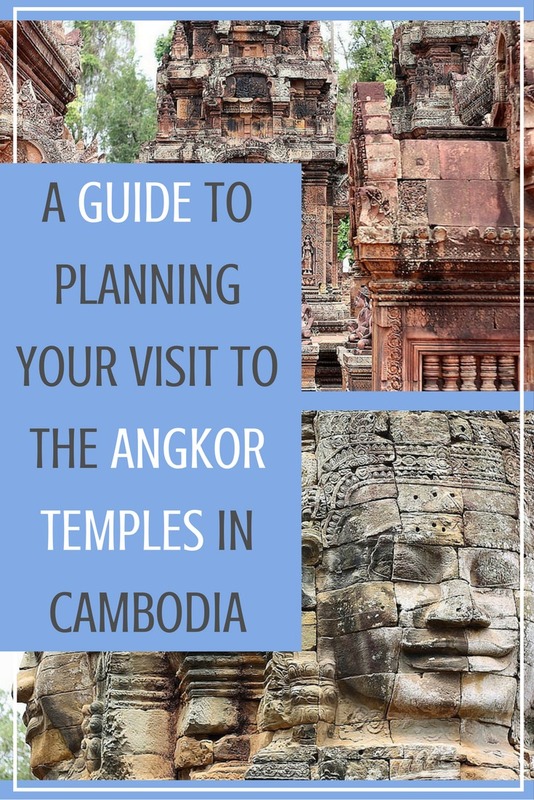 It’s about 32 km northeast of Siem Reap and hotels will have this temple listed as a separate half day tour including the nearby Cambodia Landmine Museum. 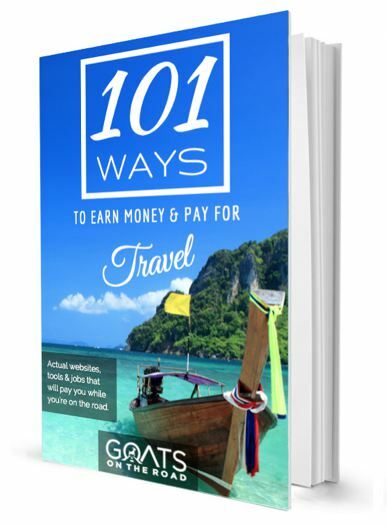 To save money, you can ask your Tuk tuk driver to take you there while you are out and about rather than booking a separate tour through your hotel. It should cost you extra $10 to get there and back. 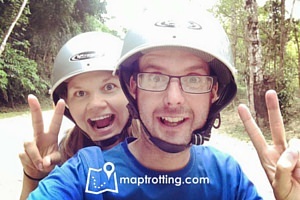 If you are travelling on a bike/motorbike, get a map of Angkor and draw a rough plan of the temples you want to see. Don’t be too harsh on yourself, if you run out of time, you can always come back the next day. Just walking around some of the temples is tiring enough, let alone all of the climbing up and down involved. Take it easy in the humid jungle. Finding food and drink is not a problem in the park. There will be plenty of very competitive local stalls outside the temples selling good food, fresh coconuts and water. 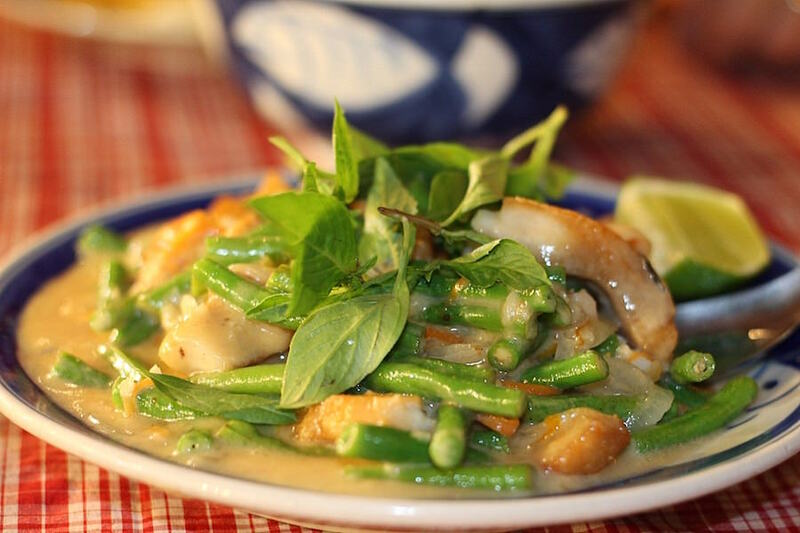 Meals cost around $3 to $6 per dish at an outside food stall. A sit down meal inside one of the local restaurants starts at around $5 per dish and up. Water, beer and coke at the stalls is usually sold at $1 per bottle or can. Drink prices are at least double that inside the restaurants. To sum it all up, it’s not the cheapest activity in Cambodia, but it’s one you really can’t miss. Depending on the number of days you choose to explore the park, the admission ticket to Angkor will cost you $20 (1 day), $40 (3 days) or $60 (7 days). 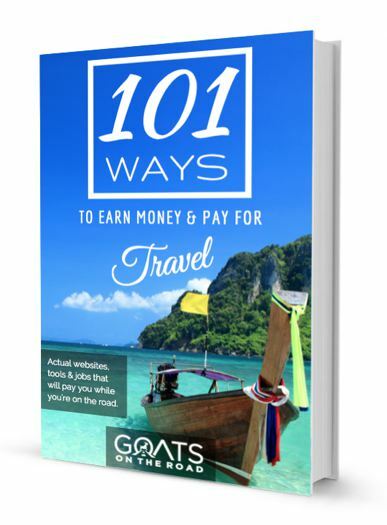 A private Tuk tuk costs around $17 including a $2 hotel booking fee per day (fees are higher during the peak season). 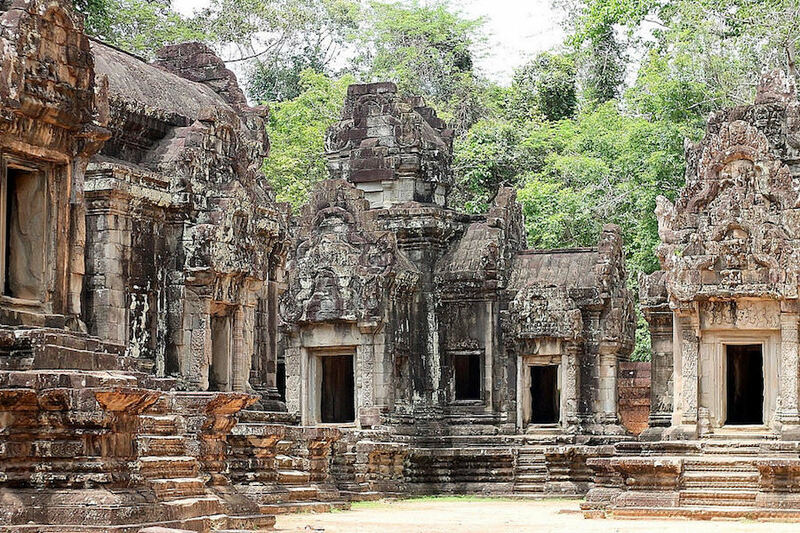 Add an extra $10 for a trip to the gorgeous Banteay Srey temple. You will be looking at a rough total of over $100 for a 3 day visit excluding food and drink. It might seem like it’s a high cost, but let’s face it, how many times are you going to visit this fantastic sight? Most likely just this once, so make it worthwhile. 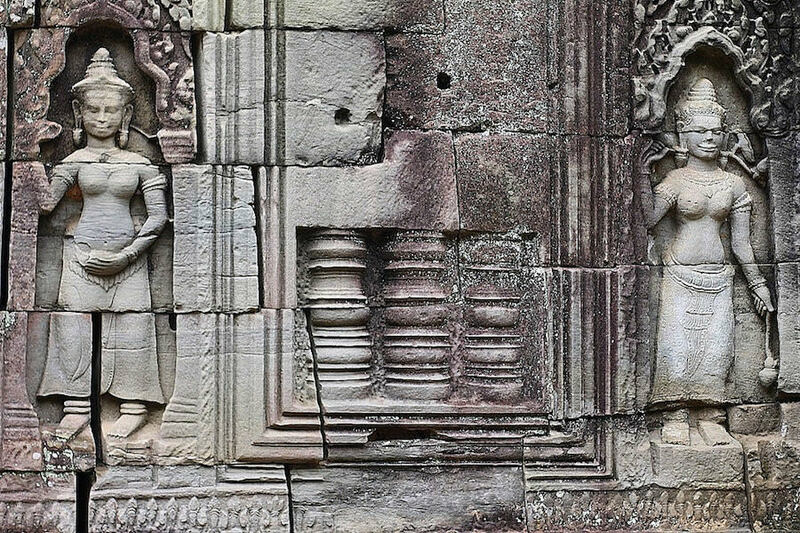 Dress modestly for your visit as Angkor is still a very significant and sacred place for Cambodian people. While you might be granted permission to enter the smaller monuments when dressed inappropriately, you should still dress modestly simply out of respect. Angkor Wat however, will decline entrance up to its iconic towers. We had the displeasure of witnessing a visitor trying to ignore the rules and being very rude to the staff who refused to let her go inside. Wear comfortable shoes, there’s a lot of steep climbing involved. Also, surfaces are uneven everywhere and slippery in the rain. If travelling during the rainy season, pack a light jacket and maybe pack a small umbrella. Always take a hat and sunglasses. When the sun comes out it is intense. 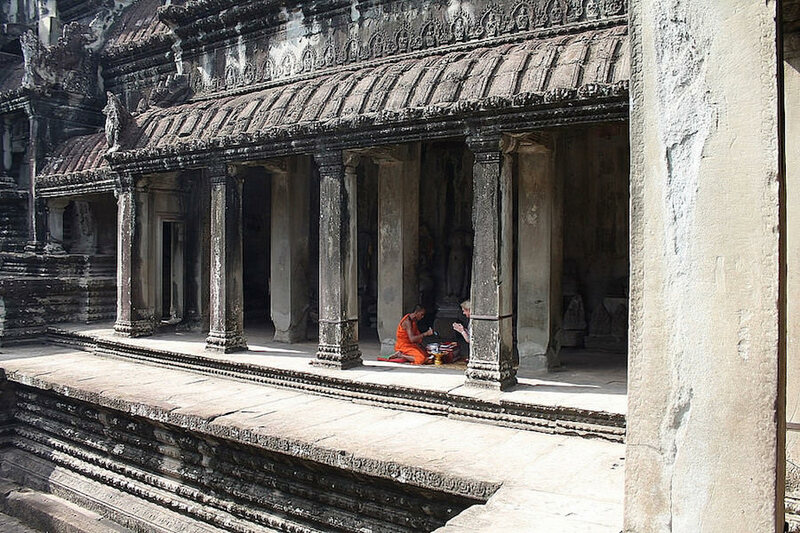 Exploring the Angkor temples was one of the biggest highlights whilst travelling in Cambodia. In our personal experience, after visiting 17 temples within 3 days, we know we would have missed out on quite a lot if we only purchased a one day pass. Give yourself 3 days if you can, you won’t be disappointed! Great Post! I love exploring new places. Thanks for sharing!